Chapter 1, the book’s introductory chapter, outlines the state-of-the-art of urban ethnography, highlights the productive relationship between social anthropology and qualitative sociology, warns against abstract superimpositions and pointless classifications of cities and summarizes the bumpy story of ‘urban anthropology’; that is, the story of a major disciplinary contribution to the ethnographic study of today’s cities. Having pointed out the methodological and theoretical strength and value of ethnographically based analysis, the second part of the chapter discusses the structure of the volume through the insights offered by the 32 contributors. 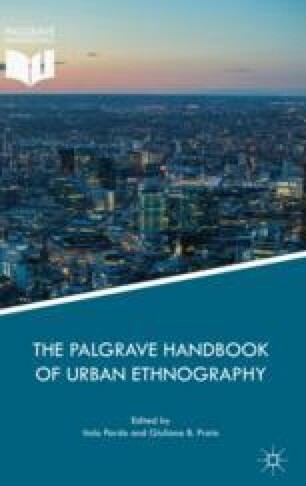 The final part argues that ethnography matters—particularly in terms of the unique contribution it has to offer to our understanding of our increasingly complex urban world.